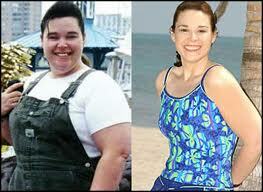 Role Of Weight Loss surgery In the Treatment Of Over weight Diabetics. Had Diabetes Treatment Been discovered? 90% of cases of diabetes are due to excessive weight. Excessive weight causes insulin resistance. In obese people, the normal level of insulin become unable to maintain glucose concentration within normal range. Uncontrolled high level of glucose stimulates further insulin release by the pancreas which may cause exhaustion of beta cells of the pancreas and cause aggravation of diabetes. progression of the disease and cure diabetes and the patient can stop taking diabetic drugs. Recent studies show that weight loss surgery may be used to cure type II diabetes and individuals may stop using antidiabetic drugs after surgery. Not all individuals are suitable for weight loss surgery but among the suitable individuals who were studied, almost 83 became successful in maintaining their blood sugar level under control without using drugs. Two methods of weight loss surgery are used depending on the condition of the patient. the first one is called gastric bypass surgery which makes the stomach smaller and allows food to bypass a part of small intestine. After this surgery, the patient takes less food and he loses weight progressively. the second one is called gastric band surgery In which capacity of the stomach is reduced by using an adjustable band. After gastric bypass, 83% of patients could stop taking their diabetes medications, some within days of the surgery. After gastric banding, 62 percent could stop. Drawbacks Of Weight Loss Surgery. The first disadvantage of weight loss surgery is its complications, which are difficult to avoid. But researchers think that if this method becomes successful in treating and curing diabetes than complications can be avoided to a great degree by providing special care to patients and all patients don't show complication. Surgery has the potential for complications that wouldn't occur with drugs. One study followed patients up to a month after surgery found that 7% experienced some problems, mainly minor wound infections. But massive bleeding, kidney failure and other serious complications occurred in more than 2% of patients. Other side effects include nausea and some food intolerance, with some patients also gaining weight back over time. The second disadvantage is high cost. But doctors think that we can cure the diabetes instead of managing complications by using this technique, therefore, it will save the cost in long run.